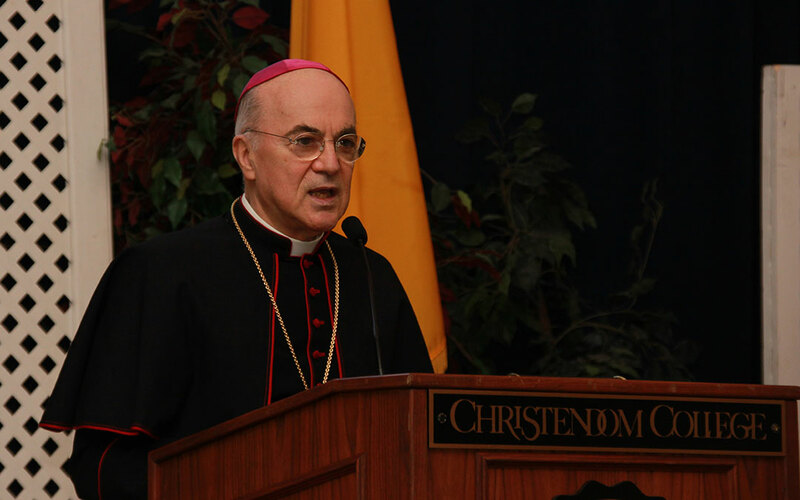 Homily by Papal Nuncio to the U.S.
On March 20, Archbishop Carlo Maria Vigano gave an address to the Christendom faculty and students. Archbishop Vigano was ordained a priest in 1968. He earned a doctorate in utroque iure (both canon and civil law). He entered the diplomatic service of the Holy See in 1973, and worked at the papal diplomatic missions in Iraq and Great Britain. From 1978 to 1989, he held posts at the Secretariat of State. He was named Special Envoy and Permanent Observer of the Holy See to the Council of Europe in Strasbourg in 1989. He is fluent in Italian, French, Spanish and English.